While no two dads are the same, we’ve rounded up some of our favorite products to help every type of dad relax, pursue their hobbies, or just lean full-tilt into paranoid home protection. 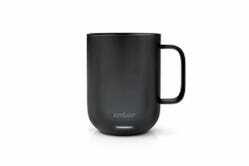 Have your own Father’s Day gift ideas? Drop them in the comments! You’re probably not buying these gifts for your own dad, because you’re not a baby. I know because you’re reading these words, and babies are, famously, illiterate. But perhaps you are a young dad’s spouse, or parent, or very good friend. You could get them a Snoo (or a Snoo rental) if you’re filthy rich and if they haven’t slept in two months. 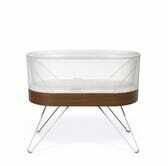 It uses sensors and motorized rocking to detect a crying baby, and ease them back to sleep with gentle motion. Or, more realistically, you could frame a precious dad-and-kid photo with Framebridge, get him a better kid carrier to save his aching back, or subtly encourage him to start exercising again with a multi-sport trailer stroller. Fatherhood always comes with at least some measure of paranoia about the world around you. 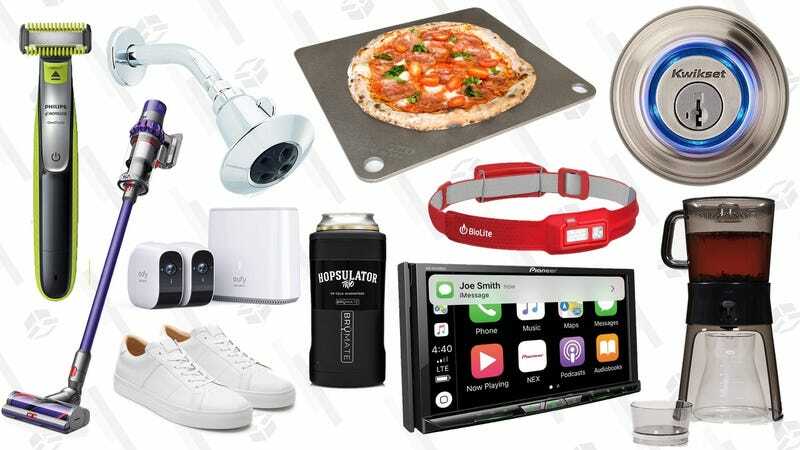 So even if the dad in your life hasn’t gone full-on tinfoil hat about home and identity protection, these practical gifts can help set their mind at ease. Anker’s new EufyCam home security system is battery powered (never give a gift that requires electrical work! ), and can operate for up to a year without a charge. Plus, the cloud DVR service is optional, if he isn’t comfortable uploading footage to the cloud. You could also check out our roundup of home security systems (think motion detectors and door sensors, more than cameras) that don’t require a monthly fee. Because a gift with a mandatory service charge is no gift at all. For a more modest gateway drug to full-on home security, perhaps a smart lock is just right for Dad? 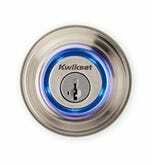 May we suggest this one from Kwikset? Identity theft is more likely to wreck your life than an actual theft, so if Dad doesn’t have a shredder, this roll-on stamp completely obscures personal details on mail and documents before they go into recycling. For the tech-loving dad, there are so many different directions you could go with a gift. A USB-C charger is a practical, forward-thinking gift that he’ll use for years. 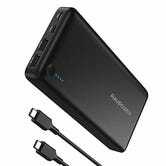 This new one from Anker lets you charge two laptops and two phones at the same time, but if you really want to go all out, you can even get him a USB-C battery pack to keep his laptop (or Nintendo Switch) powered on during long trips. You’re not going to buy your dad a car for father’s day (and if you do, don’t tell my dad), but you might be able to get him a more affordable, tech-friendly upgrade for his existing ride. A CarPlay/Android Auto-compatible head unit would be a real head turner, in particular. 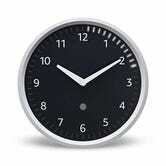 If your dad likes to use an Echo smart speaker in the kitchen to set timers, my favorite new gadget of the past few months has been Amazon’s Echo Wall Clock. It takes those timers, which used to exist only in Alexa’s digital brain (or buried deep within the Alexa app), and puts them up on a wall clock for all to see. 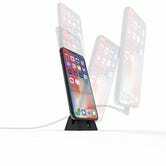 Nobody needs a smartphone dock, and I suspect that few people actually buy them for themselves, but Elevation Lab’s CordDock is totally unique, and will make your dad’s desk or nightstand look way better. That’s the perfect recipe for a great gift. 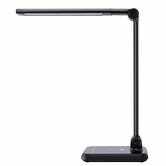 Speaking of desks and night stands, this LED lamp includes a Qi charging pad for your dad’s phone. What a bright idea. And if nobody’s allowed to talk to dad before he’s had his coffee, Ember’s electric mug is basically designed for gifting. Slippers! 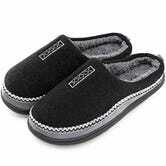 Everyone’s happier and less stressed when they’re wearing slippers. 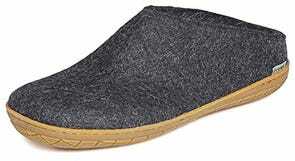 These memory foam slippers on Amazon are a great budget option, but if you’ve got the cash, splurge on a pair of Glerups. Dad deserves it. Keeping with the shoe theme, a pair of Cole Haan All-Day trainers are the perfect weekend shoe for dad. He can even pull them on without re-tying the laces, and they’re versatile enough to wear in a variety of situations. If your dad is one of those dads that never takes his shoes off except to sleep and to shower, they should at least be comfortable. If Dad spends his evenings watching baseball/sending emails/setting fantasy lineups/<insert screen-based, stereotypical dad behavior here> to the point that he’s having trouble sleeping at night, a pair of blue light-blocking sleep glasses from Felix Gray can work wonders, and they look good enough that you’ll barely have to convince him to wear them. Dads and khakis go together like dads and bad jokes, but in Saturday errand-running or sitting-around-the-house situations, a pair of fourth pants is formal enough, and way more comfortable. When dad hits the hay at the end of the day, imagine how happy he’d be to put his feet up and watch Baseball Tonight or whatever in an adjustable bed. If he’s already sleeping on a foam mattress, this splurge will completely transform it. Or, if you don’t have that kind of cash, a weighted blanket can help him get to sleep if he’s been suppressing his anxious (hint: everyone is anxious). 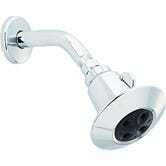 A good shower head can pay for itself—literally, if it saves water—but also in terms of relaxation. Dad will use it every day, and it’s an easy enough upgrade that it won’t feel like you’re assigning him a job. Delta’s cult-favorite 75152 is way too good for its bargain basement price, but if you want more features, the 4-Spray H2Okinetic In2ition 2-in-1 is a reader favorite. 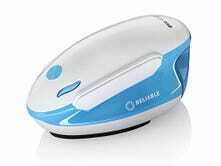 And finally, there may be no more “dad” item on earth than a Sharper Image-style electric massager. Now, you can buy a variety of them for feet, shoulders, and everything else on Amazon, without Dad having to debase himself at the mall. If Dad does his best work standing over the stove or holding a spatula, congrats, we’ve got a stockpot-full of great gift ideas. 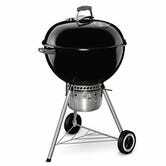 If he’s dropped any hints about wanting to get into meat smoking (everyone’s a smokeboy now), the reader-favorite Weber Kettle is affordable, and a great way to get started. Bonus points if you get a ThermoWorks Signals, or at least a BlueDOT, so he can monitor his meals from afar. Dad probably already has a good instant read thermometer, but dimes to dollars I bet you it doesn’t have an IR thermometer built in. Useful, accurate, fast, and fun. 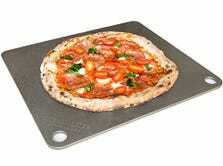 Dad like hosting a build-your-own-pizza night? A thick pizza steel like this one from Nerd Chef lets you achieve a perfect, crispy crust in about five minutes, in just a regular oven. If Dad’s pans have seen better days, a gorgeous (and practical) upgrade to ceramic nonstick or even and fast-heating tri-ply could be in order. 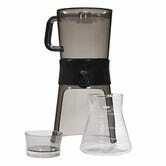 And if Dad’s gotten onto the cold brew bandwagon, don’t let him spend a fortune at Starbucks; get him OXO’s excellent brewer, which will pay for itself in short order. Whether dad enjoys a post-work beer, a fine bottle of wine, or a colorful appletini, these gifts can take his beverages to the next level. You know those giant, crystal clear ice cubes you get in a $14 cocktail at a fancy bar? 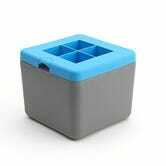 You can make them yourself with an ice mold like True Cubes. Prefer spheres? Check out the reader-favorite Tovolo molds. Dad more of a beer guy? 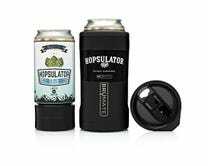 The Hopsulator Trio is a unique, vacuum insulated koozie with an ice pack that can keep a beer cold for hours. And for bottled beers, a fancy, magnetic bottle opener is practically designed for gifting. And when all else fails, you can never go wrong with a good, old fashioned wine subscription, albeit one that learns your dad’s wine preferences over time. If Dad likes to get up and move and develop his creepy old man muscles, here are some gifts to take his workouts to the next level. Is your dad...a dad? Then I guarantee you he likes Roger Federer, the patron saints of Dads, so get him some of the G.O.A.T.’s surprisingly affordable match gear from Uniqlo. 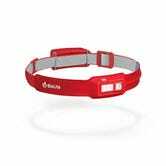 If running is more your dad’s speed than tennis, a GPS watch is a fun, practical tool for him to keep track of his routes. Here are five great options, at a variety of price points. Or, if he already has a watch he likes, treat him to some of our favorite running shoes, Nike’s Epic React Flyknits. Dad more of a biking fiend? We’re huge fans of Yakima’s ForkChop roof rack mount for lugging a bike from place to place. Hell, you might grab another for yourself. I don’t know about your dad, but my dad’s a bit of a neat freak. My folks already have a robotic vacuum, but if yours don’t, it’s one of our favorite gift ideas on this list, because it gifts your dad back time. Unfortunately, a robotic vacuum probably can’t be Dad’s only vacuum. But if you want to treat him to the best of the best, get him a Dyson Cyclone V10 or V11. 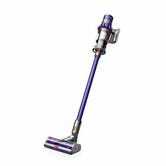 It’s so powerful, it killed off Dyson’s corded vacuum lines. If Dad’s floors are already spotless, how about his, uh, outdoor floor? You know? His lawn! 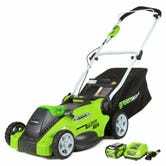 If he’s still using a smelly, maintenance-heavy gas lawnmower, maybe this is the right time to get him to switch to an electric model? They’re really good now! For the dad that travels a lot, whether for work or for fun, here are some of our favorite, gift-friendly gravel accessories. Maybe Dad already has packing cubes, which would be awfully smart of him. But tell him to throw them out pass them down to you, and give him a set of double sided cubes to replace them. One side holds his clean clothes, while the other is for dirty clothes. Simple, but oh so genius. 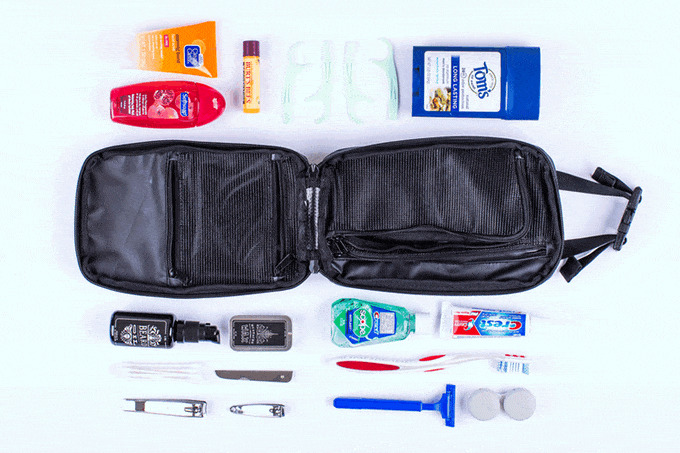 While you’re at it, a dopp kit is, in my opinion, the most underrated piece of travel gear out there. Nobody pays any attention to it, but a good one can make a stressful trip a little bit easier. I’m personally a huge fan of this one from Gravel, or you can’t go wrong with any of these reader favorites. 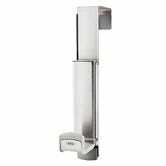 This inexpensive hook can turn any door, in any hotel room, into a miniature valet that can hold multiple garments. 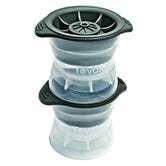 This travel steamer can fit into any suitcase. 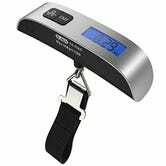 And this tiny luggage scale can help you avoid overweight baggage fees. All of them would make for great, fairly inexpensive gifts. What’s more “dad” than a nice leather briefcase? Daniel’s makes one of our favorites, and you can even customize it with a fun interior lining. Maybe your dad spends less time on planes, and more time surrounded by nature. Here’s some of our favorite outdoor gear. 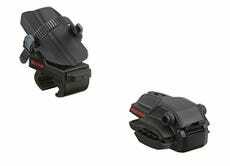 BioLite’s brand new LED HeadLamp 330 is tiny, bright, rechargeable, and comfortable. What more could he want? This one could also fit in the “For the dad who enjoys an adult beverage” category, but Kawartha’s Outdoor Cooler Bag is the easiest way to haul a bunch of cold drinks into the backcountry. For an inexpensive gift that’s sure to amaze (and hopefully not burn down the house), UCO’s Stormproof Matches can literally be thrown into a glass of water after being lit, and then reignite themselves once you pull them out. Seriously, it really works. Everyone needs a good raincoat, including Dad. I’d recommend one with a hood brim like the Marmot Minimalist, one of our readers’s favorites.